IC 2720, CN 8006, et al. CN through freight passes the west end of Blair Ave. as it heads northwest via former SOO rails at Fox Crossing, WI (formerly Town of Menasha, WI until 14 Apr. '16) on 11 Oct. '17. 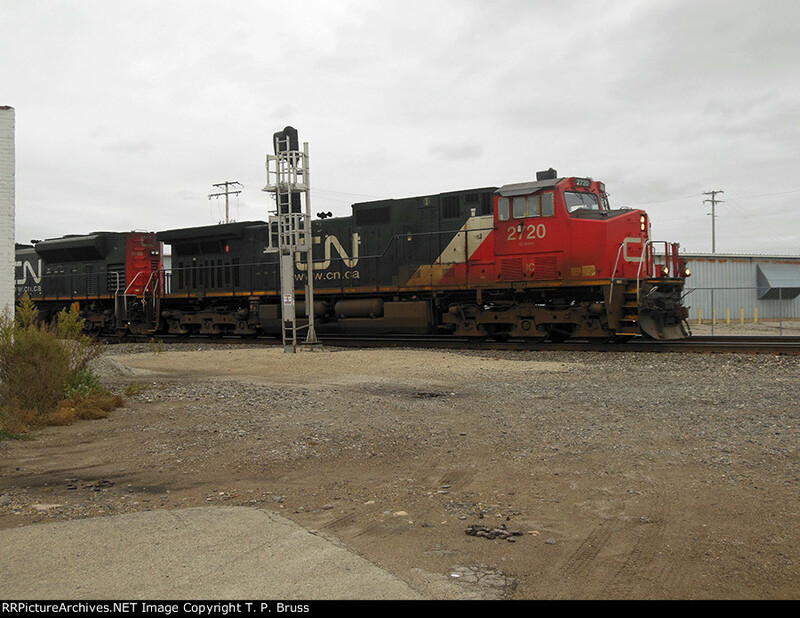 Train had 3 locomotives, IC 2720, CN 8006, CN 2314.